Get ready for a visit from another planet: For the second season of “People of Earth” (‎@PoE_TBS), TBS (‎@TBSNetwork) wanted to increase awareness of and interest in the show in an extraterrestrial way. 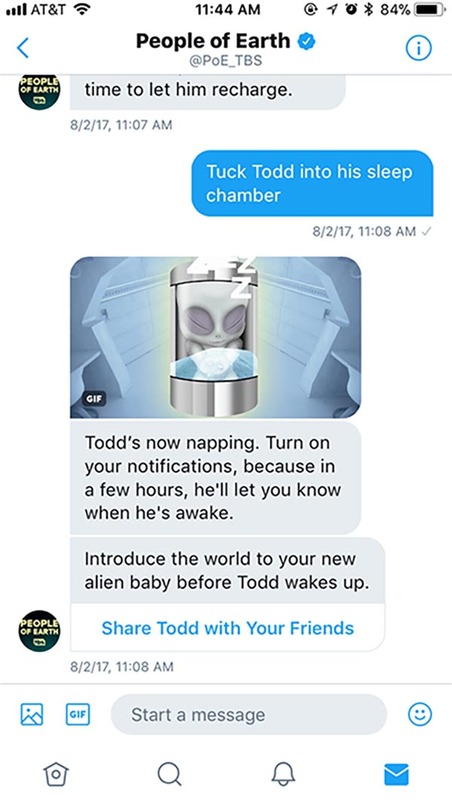 To get people more personally engaged with the story, TBS created an out-of-this-world experience that would let people adopt an alien from outer space through a chatbot in Direct Messages. An adopted alien needs attention though: Its newfound caretaker would need to feed, entertain, and put the alien baby to bed. 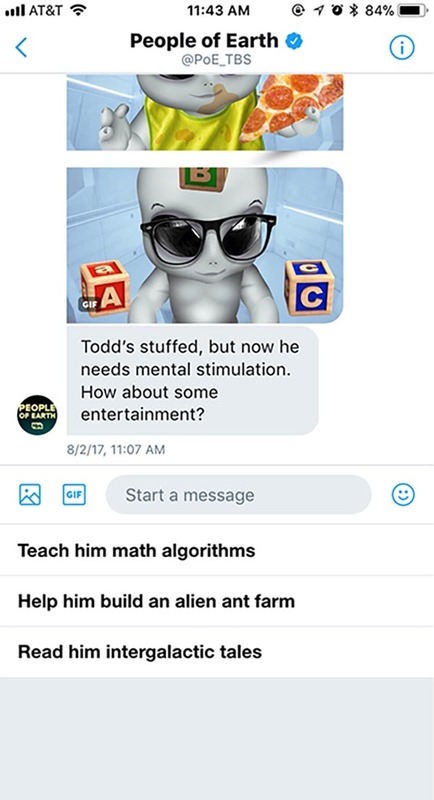 TBS collaborated with VaynerMedia, which used Direct Messages on Twitter to create a chatbot that allowed people to adopt, raise, and engage with an alien. They then used the Direct Message Card to create Promoted Tweets that would let people start chatting and interacting with the alien in a single tap. These Promoted Tweets showed up in the timelines of people interested in science fiction, geek culture, video games, comedy, and late-night television, ensuring the campaign got in front of the right audience. #PeopleofEarth, from the executive producer of The Office, introduces you to an alien abduction support group. And to aliens. Stream episodes on the TBS app. Get attention from a relevant audience. TBS used Twitter’s robust targeting options to find the right people who would be intrigued by the experience. 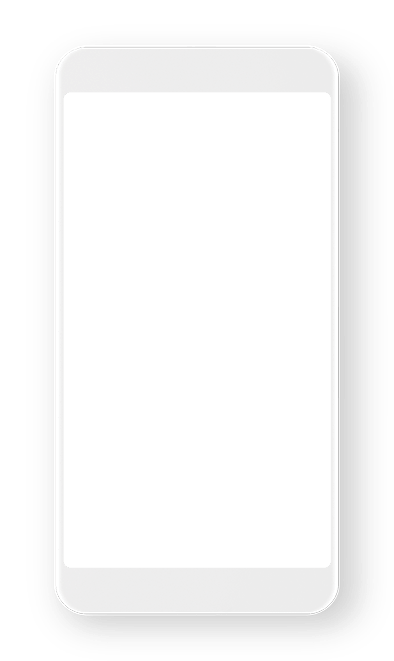 TBS used video in the Direct Message Card to grab people's attention and clever, alien-themed calls to action to entice people to tap through and engage in a one-to-one conversation. Within the Direct Message, a welcome message introduced these unconventional parents to their alien, quick replies helped the parents select options to take care of their alien, and custom GIFs brought the alien to life. Turn adoptive alien parents into advocates. The chatbot also provided proud parents the ability to introduce their new alien baby to the world. The chatbot made it easy for them to Tweet about their new alien to their followers, inspiring even more people to adopt one of their own. The combination of relevant targeting and clever creatives throughout the experience paid off. The “People of Earth” campaign achieved a 2.5% clickthrough rate and saved many orphaned aliens. The average time spent feeding, entertaining, and raising an alien was over one minute. Nearly 12% of people who adopted an alien decided to share that with their followers, which increased the show’s earned and organic impressions by 63%. Successful marketing efforts start with knowing your audience. Twitter's tools help you dig deep.